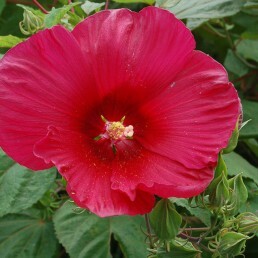 A great accent plant with spectacular blooms. 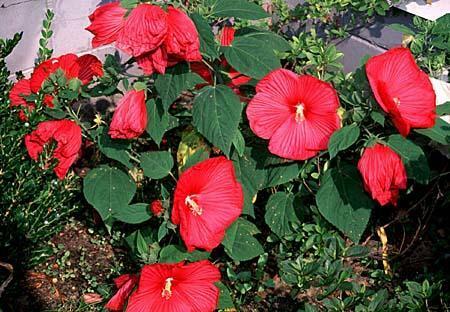 Hibiscus moscheutos is a vigorous perennial that is native to wet spots. 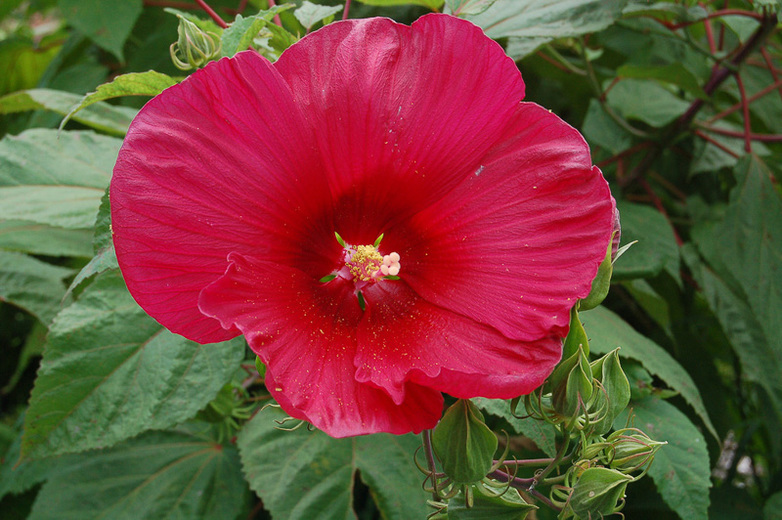 It has large hollyhock-like flowers that typically only last 1 or 2 days but at the peak of bloom, a large plant can produce 20 or more flowers per day. It is a good plant in low spots or wet areas particularly effective along streams or ponds. Also good as a temporary summer screen or hedge or grown in a large container.